The Attendee Resources below contain conference related information. If you have any questions, please feel free to contact Visual Studio Live! by e-mail at visualstudiolive@ce.uoregon.edu. 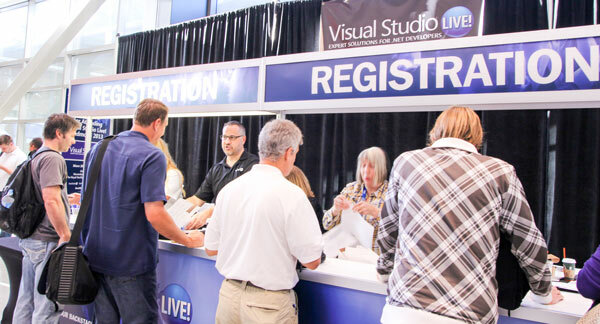 Your badge is your admission ticket to Visual Studio Live! Redmond. Badges may be picked up at registration beginning Sunday, August 17 during early registration. Badges will not be mailed. Upon registering for the event you will receive a registration confirmation email. A few days prior to the event you will receive a reminder confirmation. Print out the confirmation and bring it with you to registration. Early registration will be available on Sunday evening, August 17, from 4:00 – 8:00 pm at the Hyatt Regency Bellevue. Avoid the lines on Monday morning and register early on Sunday evening. Visual Studio Live! 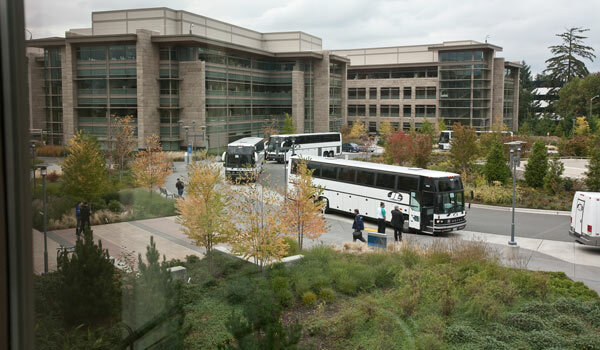 will provide daily complimentary shuttle transportation between the Hyatt Regency Bellevue and the Microsoft Conference Center (Building 33) during the times below and will depart every 15 - 20 minutes. Please allow extra time during peak traffic periods. Complimentary parking is available in the parking garages below and adjacent to the Microsoft Conference Center (Building 33). You will need to know your license number for registration. There is no particular dress code for Visual Studio Live! Redmond; however, general business casual attire is acceptable. The temperature in the session rooms may vary, so be sure to bring a sweater or light jacket. We recommend wearing layers. A continental breakfast will be available each morning at the Microsoft Conference Center. Lunch will be available at the Microsoft Conference Center on Tuesday, Wednesday and Friday. On Monday and Thursday, each attendee will receive a pre-loaded “e-card” that can be used at all of the restaurants and coffee shops located in the Mixer building. These cards are the same as cash and cannot be replaced if lost or stolen. Cards will be distributed upon check-in. Shuttles will be available between the Conference Center and the Mixer on these days. A variety of food and beverage choices will also be available at the Tuesday Exhibitor Reception and at the Lucky Strike Evening Out party on Wednesday. We recommend you leave personal belongings at your hotel during the conference. A Bag Check will be available at the Microsoft Conference Center on Thursday, August 21 and Friday, August 22.